© 2014 Curt Bianchi. All rights reserved. 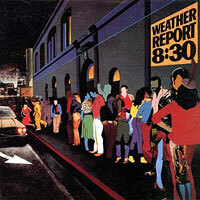 Album sleeve illustration by June Valentine depicting the musicians of Weather Report. That summer Zawinul toured Europe as a one-man band, and subsequently completed his long delayed solo project, Dialects. Meanwhile, Shorter appeared in the Bertrand Tavernier film ‘Round Midnight, starring Dexter Gordon. In the fall he put together his own band to tour the United States and Europe in support of Atlantis. 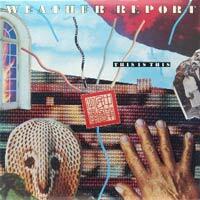 Will Weather Report regroup, renewed and refreshed? 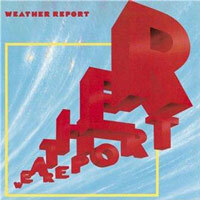 At some point in 1985, presumably after the October start of Shorter’s U.S. tour, Zawinul and Shorter resolved that they would have to produce one more Weather Report album. 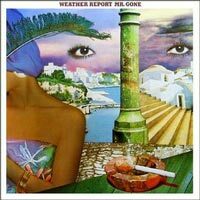 With Zawinul finishing up Dialects, and Shorter busy touring with his own band, the timing must have been awkward at best. I just said to myself that if I don’t do it now, I never will. 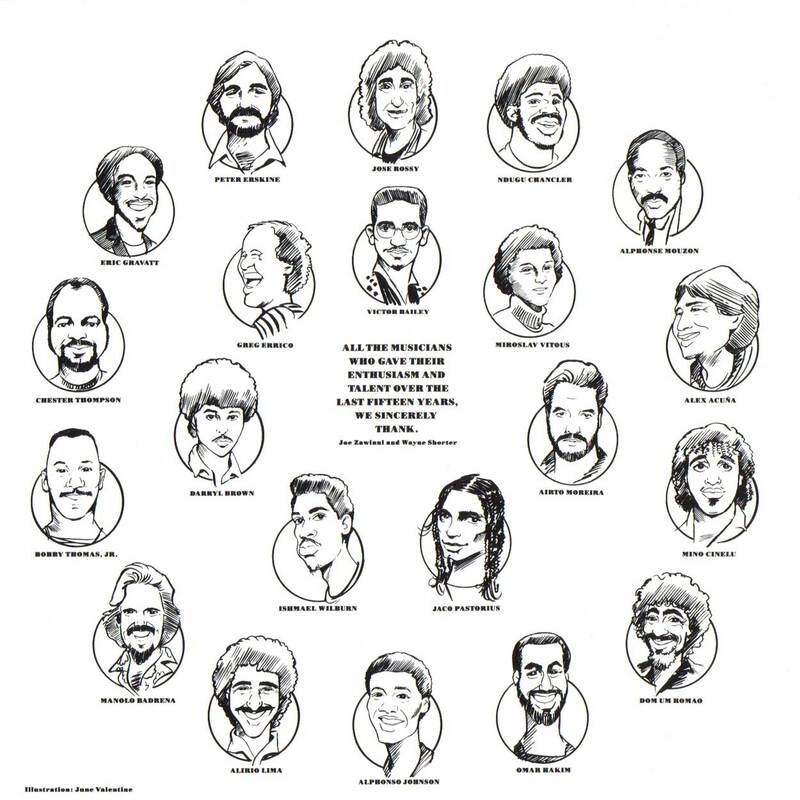 Joe Zawinul and I first talked two-and-a-half years ago about how we should eventually play our own individual music. A year later we shook hands and agreed to go our separate ways for awhile. He wanted to work on a one-man band approach. 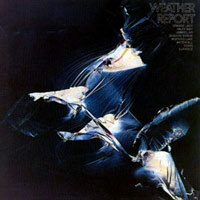 Neither of us had done much recording or playing outside of Weather Report in a long time, despite a lot of invitations. 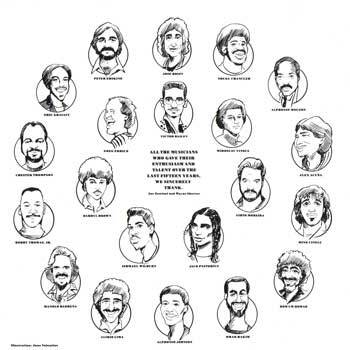 Myself, I’ve only recorded with Joni Mitchell, Steely Dan, and just a few others over the past 14 years. 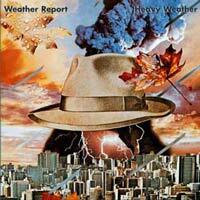 Is Weather Report going to be part-time now or is it nearing its end? Peeved that his former bandmates will tour without him this summer, Shorter refused to allow the group to use their name. Goodbye Weather Report, hello Weather Update. 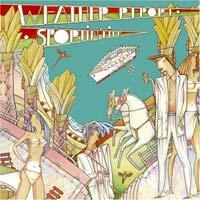 “I’m going to miss Wayne, but it’s the best for both of us,” said Zawinul of the unexpected split. 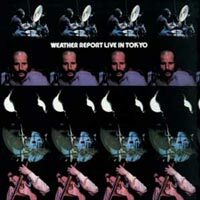 “I would’ve preferred to keep the name Weather Report, but the way we’ll advertise our concerts people will know who we are. 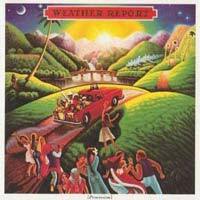 This track can also be found on the Carlos Santana three-disc set, Dance of the Rainbow Serpent. Written in honor of Zawinul’s parents, who died in the early 1980s. 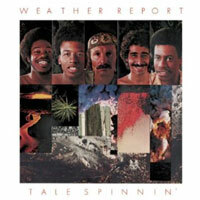 “This is the end of Weather Report as we have known it… Future Zawinul excursions probably will sound much like the first track on each side of This Is This, since they make prominent use of a guitar (Carlos Santana)… Santana contributes earthy emotion to ‘Man With the Copper Fingers.’ Zawinul’s ‘I’ll Never Forget You,’ dedicated to the memory of his parents, achieves a beautifully sorrowful mood. The quirky line of ‘Update’ and the hypnotic ‘China Blues’ stand out in a set that doesn’t quite achieve the creative level of [Zawinul’s] recent solo LP, Dialects. 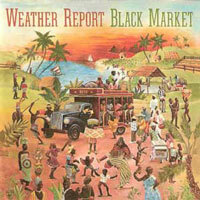 Billboard chart peak: Jazz Albums, 13; Top 200 Albums, 195. This is This is an unworthy final bow for such a great band. 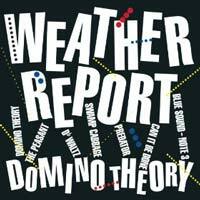 Everything about it reeks of a last ditch cash-and-dash grab forced on Zawinul and Shorter when it was clear they were pretty much done playing together. I’m a huge Carlos Santana fan, but the attempt to swap his guitar for Shorter’s largely absent saxophone is as obvious as it it awkward. Carlos is a great player, but he’s not a great jazz player. 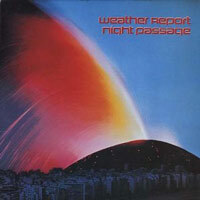 It’s telling when Omar Hakim says he’s never listened to this record. With the exception of “I’ll Never Forget You” which is quiet and graceful, there aren’t many memorable moments on this epitaph. The only one is the small photo on the back where Zawinul and Shorter are shaking hands. 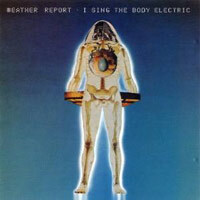 Not only were they putting Weather Report in mothballs, but it seems their friendship as well. The best tracks on this album for me is “This Is This” and “Consequently”. Even so the first one gets really repetitive and should have been edited shorter. Bailey’s track is pretty good, but I’m not a fan of his bass tone, and his soloing isn’t as interesting as Jaco’s. Had WR stayed together and were focused as they were on Procession, the best tracks of this album, Dialects, and Waynes writings around this time, could have made for an album better than Sporting Life and probably even Procession. It would have been neat for the group to reunite, but I think it served it’s purpose. I meant “Face the Fire” is my favorite. Love the funkiness! Love China Blues. 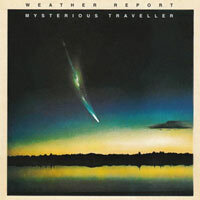 Classic Zawinul groove. Too bad Wayne wasn’t there to dance around that one. Makes me really sad when it comes to an end too. The last track ever of my favorite band. 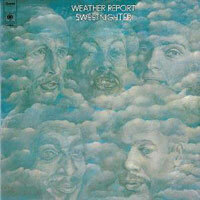 Wayne Shorter and Josef Zawinul were so great together.